Regulators don't seem to be in a hurry to regulate Bitcoins and cryptocurrency and have taken a wait and watch stand until issues of traceability and backing for underlying asset isn't in place. Only fear is they shouldn't lose oversight of the devil. With every passing day Bitcoins are touching a new high ahead of the launch of Bitcoins Futures on the US exchanges. On Sunday, 10 December 2017, CBOE (Chicago Board Option Exchange) will be the first exchange to launch Bitcoins Future thus paving way towards establishing the digital currency as a legitimate asset class. On Friday, 8 December 2017, Bitcoins crossed the $17000 mark, gained over 45 per cent in three days. 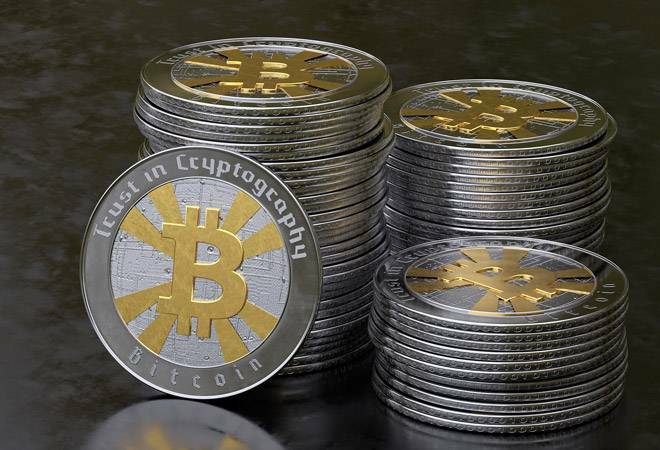 At 8:45 IST, Bitcoins after hitting an all-time high of $17,153.94 has slipped lower to trade at 16,474.45. The rising price in Bitcoins are already giving sleepless nights to central bank and monetary authority across the globe with the Reserve Bank of India on December 5, 2017 cautioned users on the risk of virtual currencies including Bitcoins. In the last one month the Bitcoins has doubled its value from $7000 a month back all thanks to the news that Chicago Mercantile Exchange (CME) is launching Bitcoins Futures on December 18, 2017. "One can't predict price but Bitcoins is here to stay. No one can doubt the existence of Bitcoins. With Bitcoins Futures, cryptocurrency is paving ways to get legitimate," says Praveenkumar Vijayakumar, CEO and Chairman of Befrics, a Singapore-based blockchain development & cryptocurrency exchange firm that last month managed to raise US $2.28 million through initial coin offering (ICO) sales for their upcoming KYC compliant Belrium blockchain. So why are government, monetary authority and investment guru worried and scared of cryptocurrency which is worth over $300 billion? "In less than a year, Bitcoin's value has increased over 20 times. If one looks at Bitcoin holding pattern, the top 0.63 per cent of addresses hold over 87 per cent of the coins. This amount of concentration is not good for the system and overall liquidity. With recent introduction of Bitcoin Futures, many people fear that once the Futures market becomes liquid enough, the big players may short the future and sell their holding, manipulating market in their favor but till that time they may allow this rally to continue. The concern central bank and government have is the fact that many retail investors may just want to cash-in the growing popularity and rising value of Bitcoins without understanding the underlying risks," says Vikram Pandya, Director-Fintech, SP Jain School of Global Management. "Today things are positive, and the concerns have taken a backseat. However, if the tide turns it would have huge impact on small investors who have recently entered with fear of missing out. Further, the real purpose of introduction of Bitcoins and cryptocurrency is somewhere losing track. Bitcoins were supposed to enable cheaper, faster and secure transactions over distributed ecosystem without reliance on the central authority. While most of the other objectives are met, it is getting slower and costlier due to network congestions & fee wars. Today if you want to withdraw money, it may take anywhere from 10 minutes to over a day based on the fees you are ready to pay and even fees can be as high as $16. This has also prompted multiple forks resulting in coins like Bitcoin Cash and Bitcoin Gold," says Pandya. With rising Bitcoin prices no one seems to be complaining about slowdown in technology and is the ecosystem isn't inclusive with the big players ruling the roost. The participation though on a rise due to demand, the distribution of the cryptocurrency is not wide. However the major concerns for regulatory authority is lack of identity and lack of asset backing for Bitcoins and other cryptocurrency. "In fact this is the new route for people to do hawala transaction, which is rampant in India," says Praveenkumar. "The modus operandi of hawala transaction is similar; the only difference is earlier it was in global currencies, today it's in Bitcoins. Last year's demonetization saw the rise in converting local currency into Bitcoins," says Praveenkumar who feels the lack of investment opportunity and higher risk taking ability across the globe has been responsible for the sharp rise in price of Bitcoins. Agreeing to it Ashish Sharma Partner at Deloitte India says, "Traceability is a key concern for any regulator. One can't deny money laundering prevailing in the market." "It's easy to convert money into Bitcoins and transfer the money anywhere and to anyone in the world without the knowledge of monetary authority," says Praveenkumar. "While today KYC is obtained when you buy Bitcoins, no one has any idea as to where those Bitcoins have travelled thereafter. So if one goes to the cryptocurrency exchange and converts Bitcoins worth two lakh rupees there is only an entry of two lakh rupees being converted into Bitcoins but no one knows thereafter where the Bitcoins have transferred and there aren't many exchanges that have no clue who's Bitcoins they are accepting and remitting. This is because not every exchange keeps a track of an individual's Bitcoin." "The transaction is written on the ledger but identity is unknown. Today there is no end to end solution to identify the holder of a Bitcoins and with IP addresses being masked identifying an holder is next to impossible," says Praveenkumar who adds, "In fact due to the wallet no one even requires an exchange to transfer Bitcoins. Identity crisis on the holder of Bitcoins and unclear legal status and no idea about the jurisdiction has been the primary reason why virtual currency isn't accepted by central bank and monetary authority across the globe. Of the total 21 million Bitcoins, close to 17 millions are in circulation having a value over $300 billion. "By next year I see the value touching $1 trillion," says Praveenkumar. Meanwhile the Reserve Bank of India has set-up its own committee on coming up with its own cryptocurrency and blockchain technology, but it has raised concerns on trading and investing in virtual currency that are minted using algorithms which are based on blockchain technologies and has no asset backing. Money laundering has been a huge concern for monetary authority and central bank across the global, especially for countries like India and China that are capital control. This is the reason why volumes have shifted from China to Japan when China in October this year announced banning of cryptocurrency exchanges. Today Japan controls 60 per cent of the legitimate (trades happening on exchange) cryptocurrency trades in the world. While money laundering is an issue for the government across the global, countries like US and Japan have no capital control. This means capital can freely move in and out of these countries and therefore it has witnessed as huge rise in the volumes of cryptocurrency. "The real surge and interest will come once world's top two fastest growing economy China and India accepts cryptocurrency," says Praveenkumar. Adding further Pandya says, "Decentralization, democratization, privacy and secrecy are the cornerstones on which any cryptocurrency functions. Although in India crypto-exchanges are self-regulated and they only accept money from the linked Bank account, Central bank have no easy way of getting the identity of the investor once the money goes out of country through multiple exchanges and alt-coins. The simple stand they can take is if dealing in Bitcoins and cryptocurrencies is legal or illegal. In simple words embrace or not to embrace crypto. In my view, given the nature of cryptocurrencies and in spirit of our Constitution, regulators may not have any choice but to embrace the beast while cautioning and educating the people about its potential pitfalls." Market always reacts against perception and when everyone thought the Bitcoins is in euphoric zone, it has again started its upmove. Bitcoins leads the pack of cryptos and is well dominated. Every new entrant to the crypto market start with Bitcoins mainly. In addition, except for few exchanges, most of the smaller exchanges offer Bitcoins only. All these factors combined provide Bitcoins the most number of takers. This year has been phenomenal for Bitcoins. From $1000, the price moved to $11000, which primarily driven by mainstream adoption of Bitcoins, adoption of blockchain technology, and the large-scale entrant of non-Chinese players in to the Bitcoins market. Success of ICO also played a major role in creating generalized crypto awareness. In the three quarter of 2017, over $2 billion were raised through ICO as against $93 million in 2016, according to CB Insights, a global database company. Institutional participation will also give the much needed depth and breadth to Bitcoins. The fundamentals are strongly in favour of Bitcoins as the supply is limited. Hedge funds are expanding their portfolio to include crypto and national exchanges announcing ETFs and derivatives for Bitcoins. Once Bitcoins are traded on the exchange it will be given the similar status to Bitcoins in the virtual world as the US dollar. As of November 2017 there are over 1,300 cryptocurrency in the world, but if someone wants to buy or trade in those coins, they have to first buy a Bitcoins and then convert it into other coins showing the power and confidence of Bitcoins among miners and investors. But the risk of security compromise, money laundering and capital control all exist in Bitcoins and as and when governments understand the subject well, guidelines and directive will come in to existence, which might become difficult for Bitcoins community to comply with. This could be a turning point for other mainstream cryptocurrencies to push forward with a compliant blockchain transaction. Says Sharma of Deloitte, "Until the cryptocurrency isn't pegged to an asset and the identity of the buyer and seller isn't traceable, regulators will adapt a wait and watch policy. Regulation typically follows technology stabilization and general adoption. It would be important for regulation to focus on both crypto-currencies and its operating ecosystem." Praveeenkumar adds, "Today there doesn't exists KYC enabled blockchain where the transaction is written on the blockchain only when end point are identified through a KYC process but new players including us as well as players like IBM are working on the blockchain where end-to-end identification is possible." Banning of virtual currency isn't possible and central banks and monetary authority across the globe along with the government has to quickly adapt virtual currency. The cryptocurrency including Bitcoins, Ripple and Ethereum strive due the privacy and secrecy. The only way for government's is to come out with stringent norms and forcing the blockchain developers and cryptocurrency issuers to comply with the regulatory norms as the current rise in prices of Bitcoins and paving way to legitimacy by getting listed in the futures market only confirms that one likes it or not one will have to embrace the fact that one will have to live with the devil.